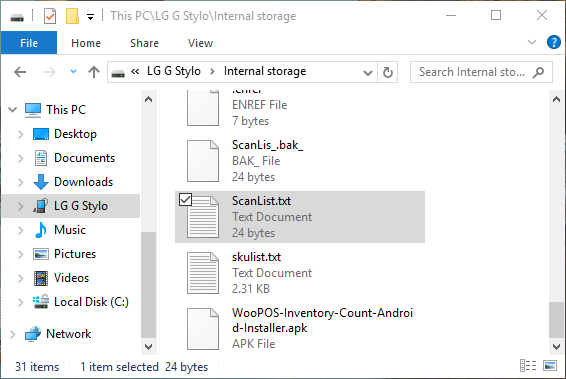 This article provides information about how to upload your scanned inventory list from your Android inventory scanner to SooPOS. In SooPOS there is a feature that will upload the list while managing an inventory scanner in Purchase Orders or in the Inventory Count. 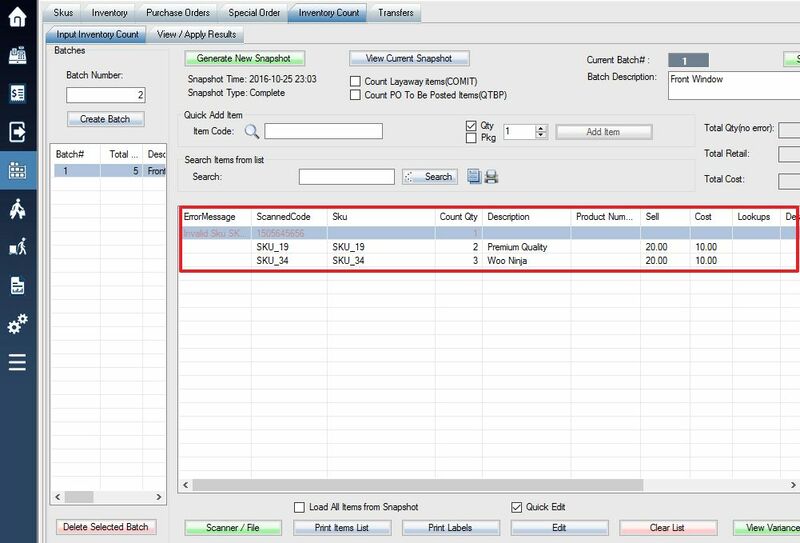 The item quantities will appear in the system like the example below. 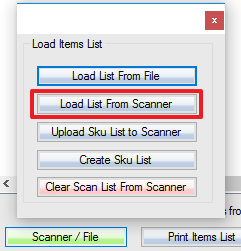 After populating the item information and before disconnecting the scanner make sure to click on Scanner / File and then click on Clear Scan List From Scanner. This will empty the scanned list on the scanner so you can start scanning a new section without data from the past section conflicting. If you are having difficulty populating the SKU list from the scanner you can alternatively copy the file onto your computer and upload it from there. Connect the scanner to the computer and select it from your computer’s file explorer. Open the Internal storage on the scanner. Select the file “ScanList.txt” and copy this to a location on your computer. In SooPOS click on the Load List from File button. This will populate the scanned items into the SooPOS software the same as it would directly from the scanner itself.